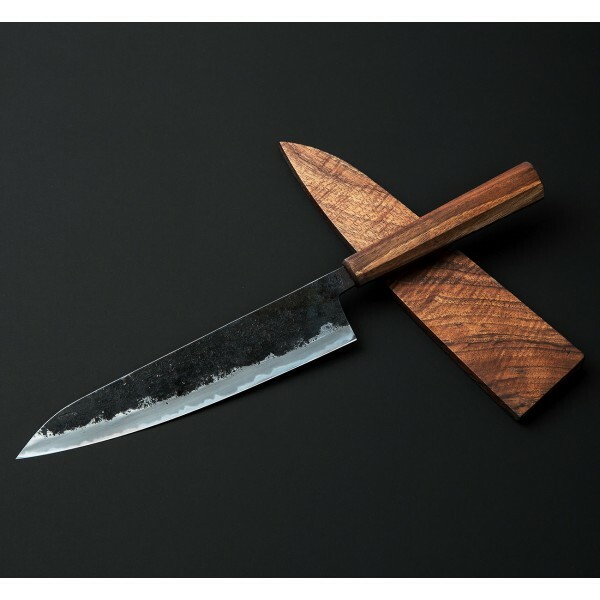 In collaboration with Bryan Raquin, our first exclusive chef knife series features a 220mm gyuto profile with Bryan's hand-rubbed petrichor finish and reclaimed noyer (walnut wood) handle and saya. 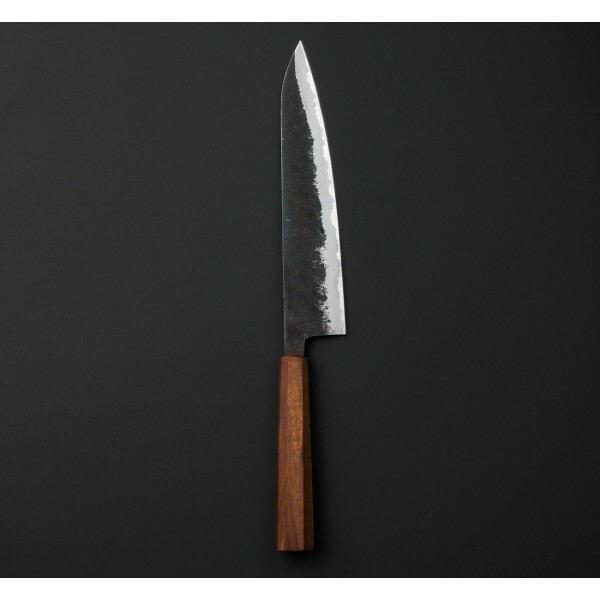 The hand forged san mai blade consists of the highly regarded, super clean 145sc carbon steel (1.45% carbon and little else) for the core and a mild XC10 for the outer jackets, heat treated and water quenched by Bryan. 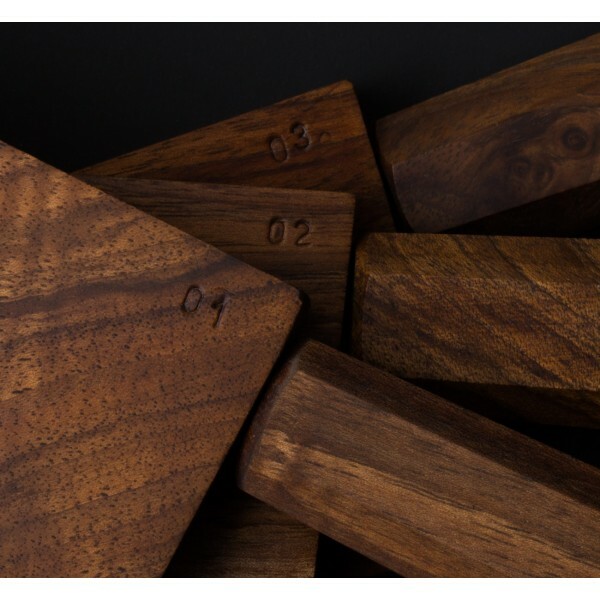 The walnut wood, with its beautiful, deep grain, is carved from 100+ year old reclaimed furniture belonging to Bryan's parents and grandparents. Each blade is individually numbered and only 10 knives in La Série Raquin - Noyer style will be made. 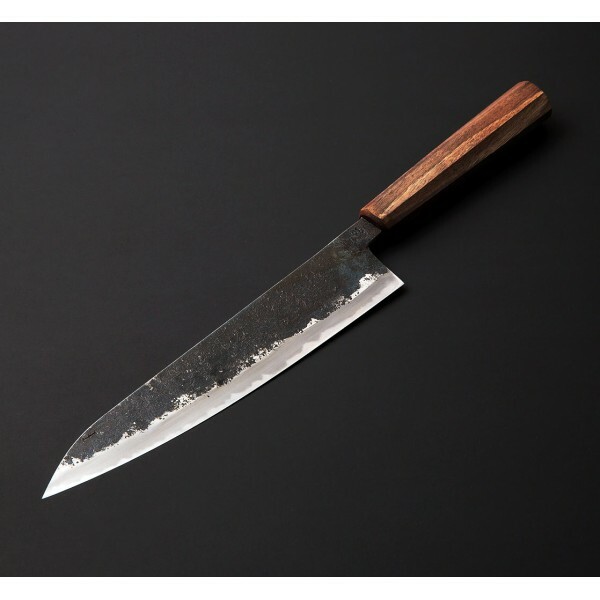 *Note: you may choose from the knife numbers remaining in stock but individual photos are not available, and each knife, being entirely handmade, will vary slightly. Bryan Raquin forges superb hidden-tang Japanese style chef knives at his shop in central France. With a focus on performance and heat treatment, Bryan creates his own san mai steel using the cleanest steels available. The 145sc ("super-clean") used in many recent blades from Bryan was produced in a small, one-time run by a metallurgist and friend of Bryan's in Germany. 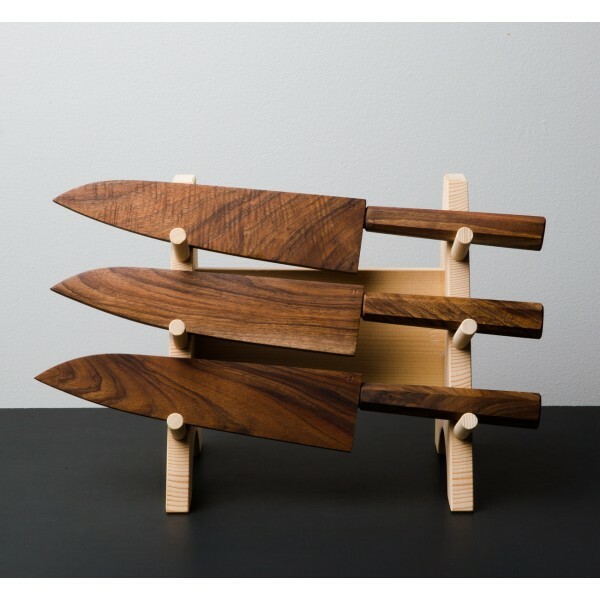 We have had the honor of representing Bryan's work on Eatingtools since he first began making knives for the kitchen, and we're thrilled to launch this first exclusive collaboration with him. 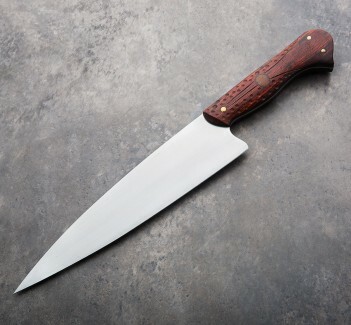 Blade length: 220mm / 8.66" (*Note: each knife is handmade and exact measurements will vary).  Overall length: 15". Blade width 1" in front of heel: 2.2mm. Blade height at heel: 45mm. Weight: 5.8oz / 164g. San mai steel: 145sc steel core ("super-clean," containing 1.45% carbon) and XC10 outer jackets. Reclaimed walnut wood handle. Walnut saya.